Thank you for your interest in our Birmingham, AL law firm. Birmingham, AL is one of the fastest changing cities in the Southeast. In the 21st century, Birmingham has become a fast growing community that has attracted new residents and businesses. In fact, Birmingham now boasts a population of over 1 million people. Needless to say, Birmingham is an ideal place to live. The temperate weather and the bustling environment make Birmingham a fantastic place to call home. However, with growth comes risks. Now that both business and population has been booming in Birmingham, there are even more vehicles on the road. This means that the severity of accidents is on the rise. That’s why Birmingham needs compassionate Birmingham, AL injury attorneys. The attorneys at Link & Smith P.C. understand the needs of Birmingham’s residents. They understand that tractor-trailer collisions are now a serious threat to Birmingham’s residents because of the new accommodations made for commercial vehicles. When tractor-trailer injuries and fatalities are on the rise, Birmingham’s residents need injury lawyers they can trust. This is why the personal injury lawyers at Link & Smith P.C. are here to meet the needs of Birmingham’s residents. Although Link & Smith P.C. represent persons from cities all across the Southeast, they are still able to give each city the individual attention it deserves. If you’re in need of a Birmingham injury lawyer, you’ve come to the right place with Link & Smith P.C. Our injury lawyers have over 40 years of combined experience, and they are veteran trial lawyers. Most importantly, our attorneys are the accessible lawyers. This means that when you call our office, you will never be speaking to an automated voice machine. 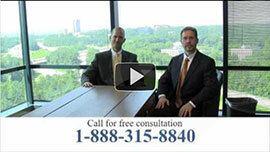 Our attorneys are more than willing to meet with you in person at your convenience. Remember, when choosing a personal injury lawyer, you need to make sure you have injury lawyers with the case results to back up their claims. At Link & Smith P.C., we have helped our clients receive case results worth upwards of $40 million! If you’re in need of a personal injury lawyer who exclusively specializes in personal injury, don’t hesitate to choose Link & Smith P.C. Our attorneys have the expertise, the knowledge, and the experience to help you achieve the case results you deserve. For all things related to personal injuries, call Link & Smith P.C. For a complimentary consultation about your personal injury case, call Mark Link and Houston Smith today at 205-737-9744.